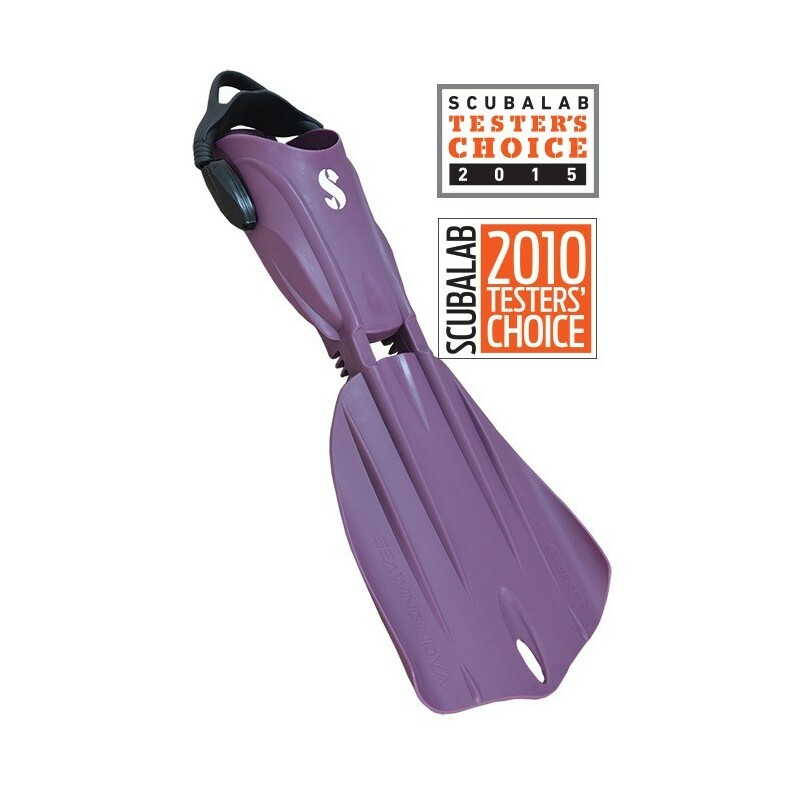 SETTING THE BAR IN DIVE FIN DESIGN This multiple-award-winning fin offers the power, acceleration, and maneuverability of a blade fin, with the kicking comfort and efficiency of a split fin. When a product hits the market sporting a design that is truly cutting-edge, the world takes notice. Such is the case with SCUBAPRO's SEAWING NOVA. It has won Popular Science magazine's "Best of What's New" award, the ScubaLab Testers Choice award, and the internationally-recognized Red Dot Award for product design. 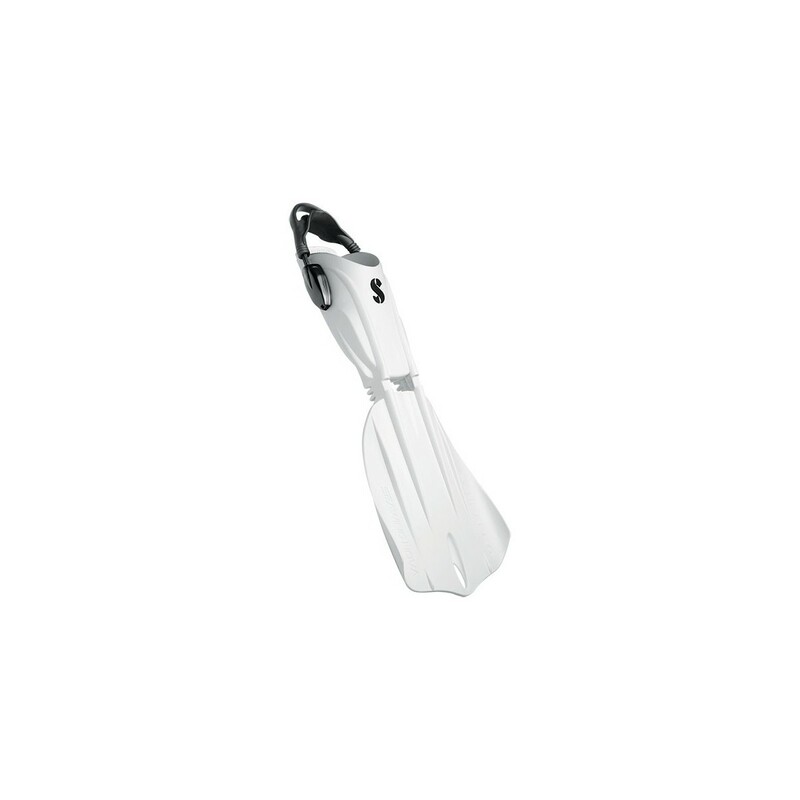 Made of modern Monprene and spotlighting its proprietary G4 (4th Generation) articulated hinge that enables the entire wing-shaped blade to pivot and generate thrust, the SEAWING NOVA produces a propulsive snap that can rocket you through open water at top speed or propel you along reefs or in and out of tight spots with total control. Able to chew up the competition when kicked in turbo mode, the SEAWING NOVA also excels in low-speed maneuvering, including frog kicks and reverse kicks, and offers improved handling when making small directional adjustments. Powerful, stable and maneuverable, and it does it all with little to no ankle or leg strain. 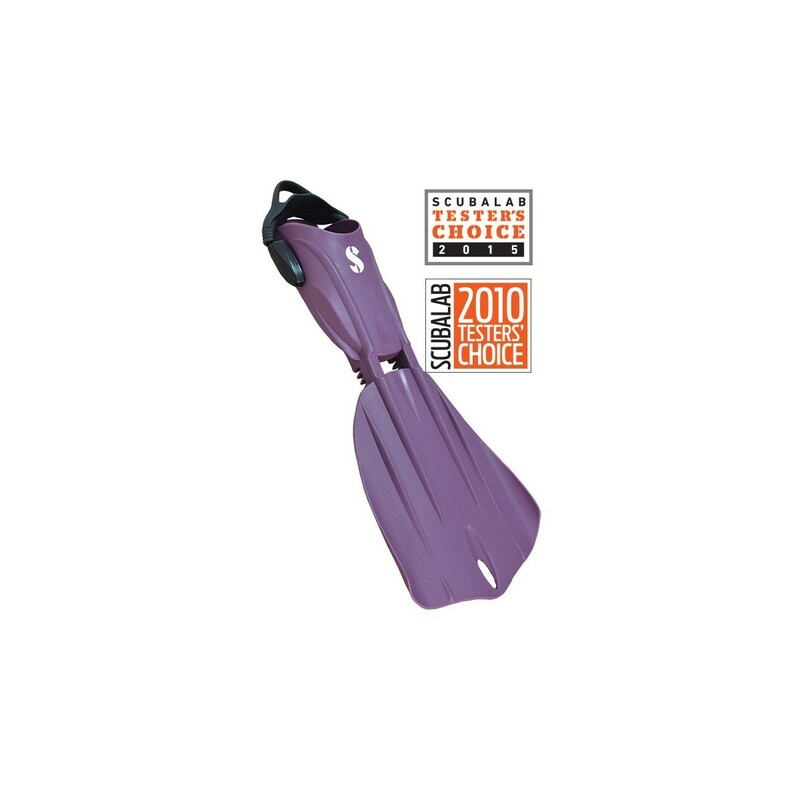 The fin features a well-engineered footplate with co-molded Grip Pads that provide efficient non-skid footing on slippery boat decks or dive ladders. 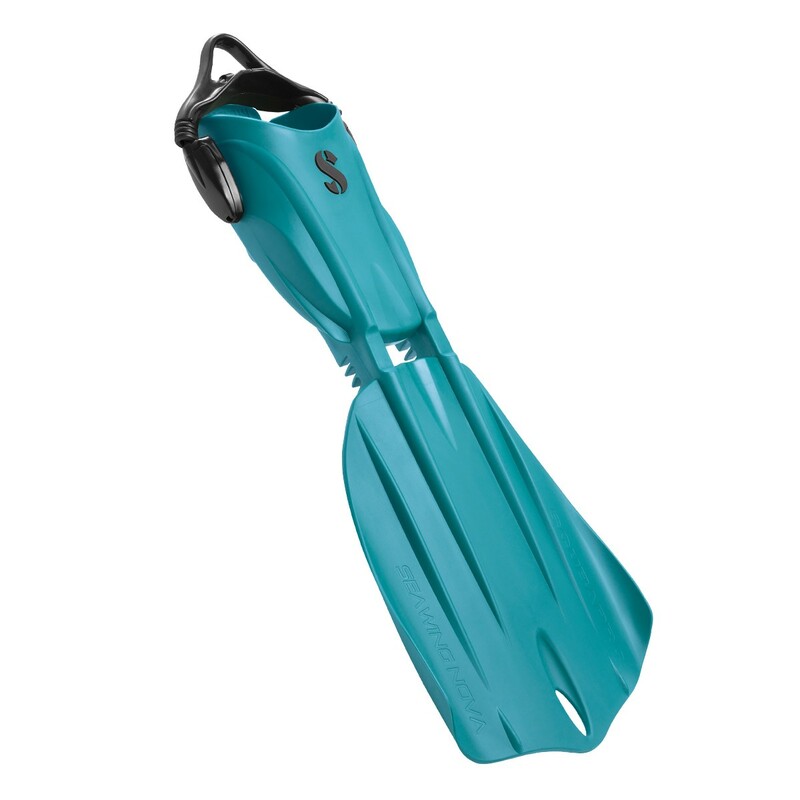 It also features the popular self-adjusting heel strap made of marine-grade bungee. 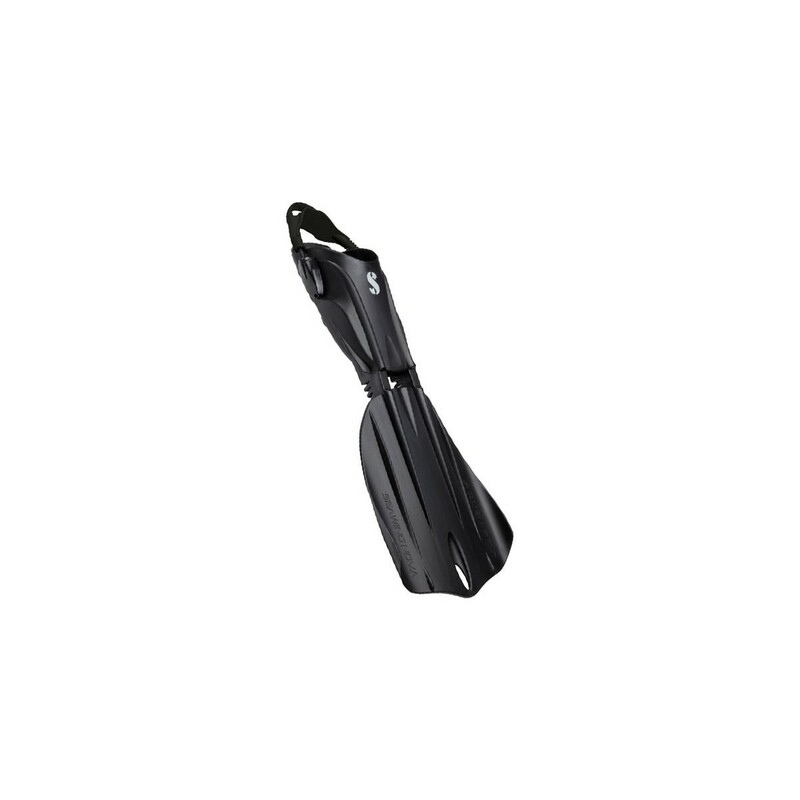 This bungee is highly elastic, resistant to the elements and the soft heel pad with over-sized finger loop is comfortable and simplifies doffing and donning. The SEAWING NOVA combines classic SCUBAPRO fin technology with the latest innovations in hydrodynamic design. 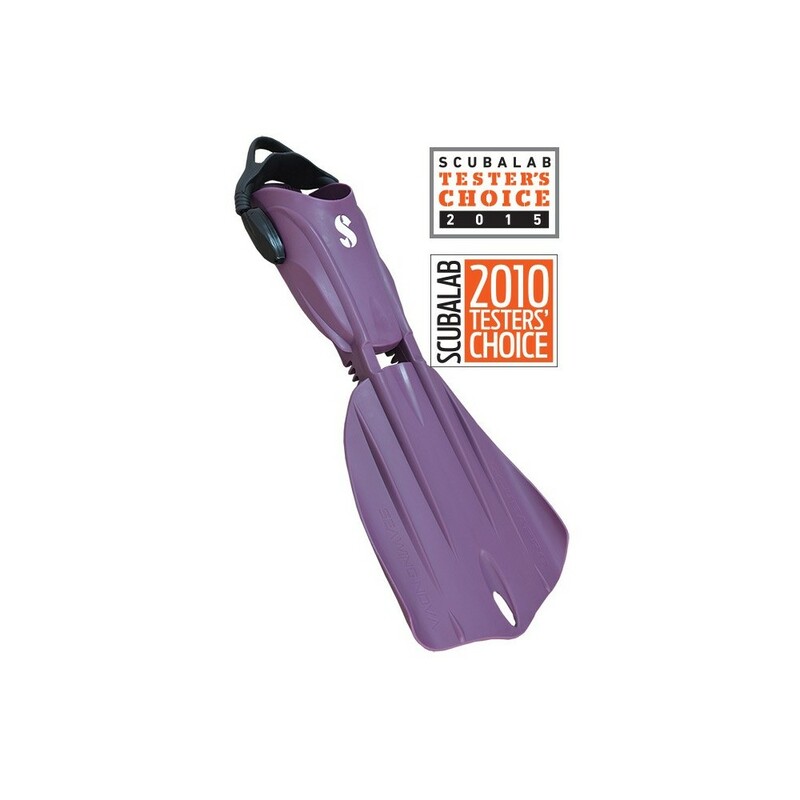 A truly unique and successful fin that has earned accolades since its introduction, the SEAWING NOVA continues to set the bar in dive fin design. 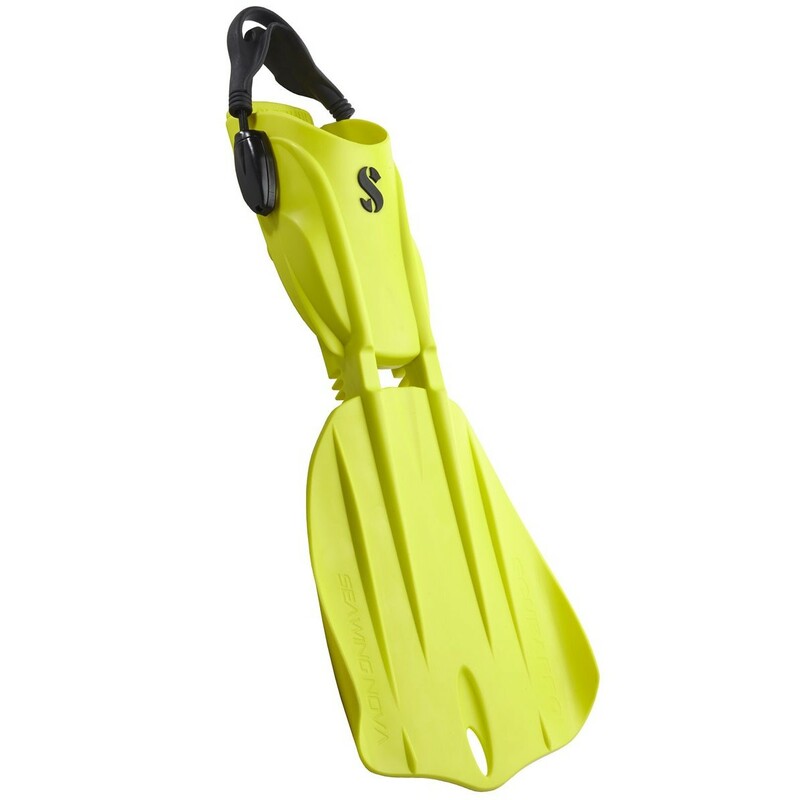 Delivering the power, acceleration, and maneuverability of a blade fin with the kicking comfort and efficiency of a split fin, you'll be hard-pressed to find a fin that's more comfortable to wear or fun to kick when cruising the underwater world. 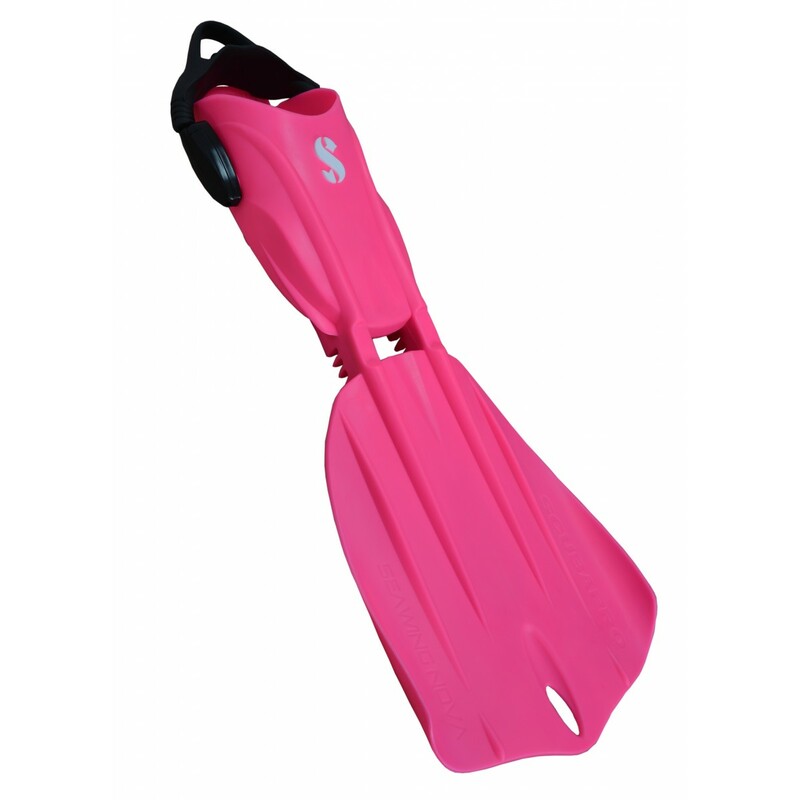 Offered in lots of cool colors to mix and match with the rest of your dive gear. Sizes: XS*, S, M, L, XL. Colors: Black, White, Yellow, Blue, Pink, Purple. * Available January 2016. Seawing Nova Wins POPULAR SCIENCE "BEST OF WHAT'S NEW 2009" Technical Features Performance and grip on slippery surfaces is better than ever. • The foot pocket's ergonomic toe box is ultra comfortable while the Power Plate footplate extends all the way to the back of the heel, maximizing power transmission while minimizing leg and ankle strain. • Co-molded Thermo Plastic Vulcanizate (TPV) heel pad and mid-sole pad with rough surfaces provide an excellent non-slip grip on wet surfaces. The TPV is highly tear resistant and durable. • Revised blade geometry: lateral rigidity has been slightly increased to improve alternate kicks and to improve responsiveness and thrust at full power. • Variable pivot control ribs insures that the most efficient angle of attack is maintained across all strengths of kick. • Durable Monprene construction making SeaWing virtually indestructible. • Wing tips arc upwards, increasing high-speed stability.